Terrorism. Post-9/11, the world has become the new unifier of the global village. But what is it that drives seemingly ordinary men and women to guns? what is it that makes them kill or die? Alienation, religion, independence... these are much flogged cliches, which mystify more, and clarify less. But behind the gun is a son, a father, a husband, an ordinary man. This book is about that human being. 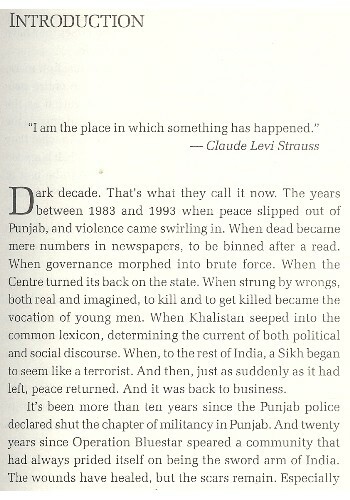 It is about people who lived militancy in Punjab. Some drifted into the current unbidden, others willed themselves to it, hurtling into the Dark Decade with a vengeance. This is a story about the children of that Dark Decade. It is about their journey over the precipice, and back. There are ten of them who do their telling here. One is the son of the man who was at the helm of it all, the larger-than-life figure who inspired jihadi zeal in Punjab. There are others who became his footsoldiers. 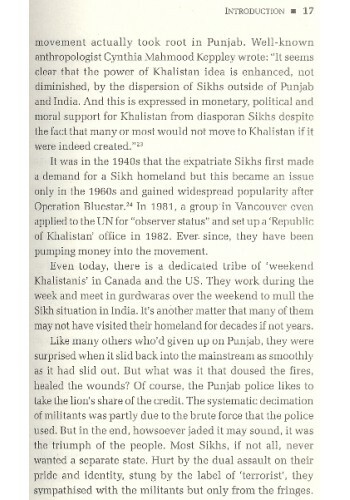 Then, there are the children living in the shadow of the father, who, fired by the collective angst over Operation Bluestar, shot down the Indian prime minister he was duty-bound to protect. Some have made their peace with life, the others are still searching for it, but each has a fascinating story to tell. A dream to share. This is their book. 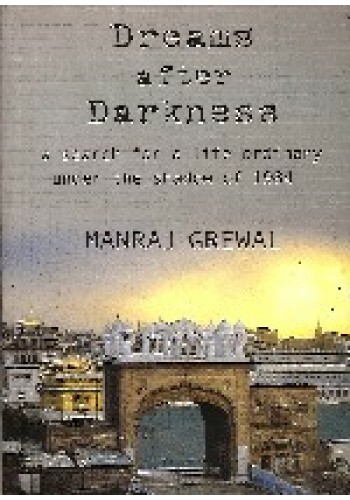 Manraj Grewal is city editor with The Indian Express, Chandigarh. 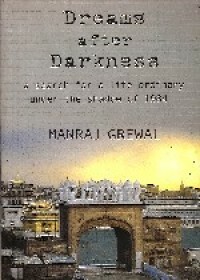 Front cover: A bird's eyeview of the Golden Temple complex in Amritsar on May 15, 1988, a day after the completion of Operation Black Thunder to flush out militants from the temple. Back cover: Sant Jarnail Singh Bhindranwala along with his followers arriving to court arrest at the City Kotwali in Amritsar. Photos by Swadesh Talwar / The Indian Express, Chandigarh. 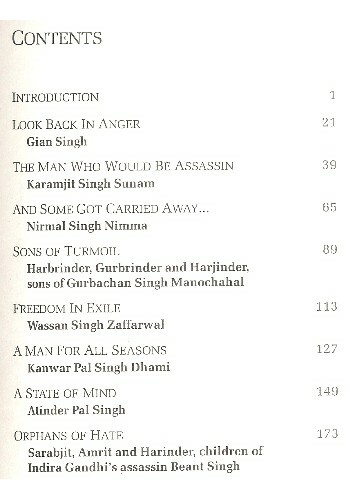 Introduction To 'Blue Star Over Amritsar, The Real Story Of June 1984' By Harminder Kaur The ..
Table of Contents For My Bleeding Punjab - Book By Khushwant Singh Content..
Table Of Contents For 'The Butcher Of Amritsar' Book By Nigel Collet CONTENTS ..
Foreword To 'Scorched White Lilies of '84' By Reema Anand The year 1984 was traumatic i..